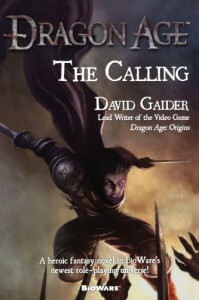 As with Dragon Age: The Stolen Throne, this is a great companion to the game Dragon Age: Origins. If you enjoyed the game and the previous book, this is a must read. It sheds light on many things from the game, not least of which is the backstory of Duncan. It's also a cracking good adventure in its own right, and contains one of the best battle scenes I think I've ever read.